"Mike came to Your Teen Magazine on the recommendation of a trusted business adviser. He's been everything we were promised and much more. We started with an initial search engine optimization (SEO) analysis and we've enjoyed working with Mike ever since. We have high strategic goals for Your Teen, but we're very pleased with Mike's direction and influence on our growth this year. For example, our natural search traffic has jumped 324%. With his help, we've made tremendous gains with our targeted keyword phrases that show much promise. Although we signed up for SEO, Mike has guided Your Teen in many other ways, including strategic direction with our web site developer and a growing collection of parenting survival guides. He has also made other recommendations for how we can generate even more interest with our print and online editions. Professional and flexible, Mike is the kind of consultant we need. I would recommend that other companies consider him if they want to succeed with online marketing." "Mike Murray has been an invaluable resource for Babcox as we've taken steps to expand our Internet search engine visibility and shape other online marketing strategies. He brings considerable knowledge to each discussion or project, drawing from his extensive experience with journalism, web development projects, search engine optimization and more. Mike has identified several key opportunities for how Babcox can best leverage its many web site properties to reach even more online readers. He clearly knows how to apply our publication goals to Internet marketing, whether he's researching a topic or simply providing timely guidance during strategic planning meetings. Mike makes the extra effort, helping us make sound choices with new technologies and introducing us to appropriate tools and resources." "Online Marketing Coach established prominent rankings on the major search engines to such an extent that we received a Request for Quote that led to one of the largest orders we received last year. With many search terms, we're ahead of larger competitors. So when they'll see us before they find the big boys." "The Online Marketing Coach team went all out with the Navigator plan that showed me where I need help and how I can excel with Internet strategies. It's an exceptional value." 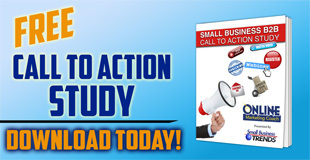 "Online Marketing Coach quickly got me to the top of Google to improve my Internet visibility. Backed by years of experience, they clearly knew what moves to make to help my business." "These guys know their stuff. They're the real deal. I've seen all of those offers - free ranking reports and software that claims it can teach me to improve my website traffic. I'm a busy small business owner. I need to trust the pros to look at what I'm doing and solve problems. Online Marketing Coach does just that - with great care and expertise. They've been sensitive to my business needs while recommending sure-fire tactics that pay off." "If you want to be found on the search engines, Online Marketing Coach knows how to do it. They helped me beat out some local and national competitors for top positions. I am most pleased with their work and the professionalism they demonstrated. I would recommend them to anyone without hesitation." "Online Marketing Coach developed ideal strategies that paid off for our firm. 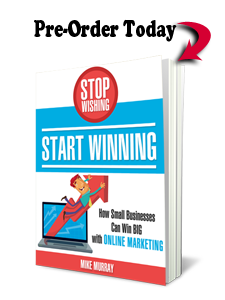 We're getting more leads and sales because of our improved visibility on the Internet." "As a web site developer for a number of years, we have always referred to search engine placement as voodoo. No matter how hard we tried and what programs we used we could not get the desired results. A number of years ago we were introduced to the search engine services of Online Marketing Coach. The firm was able to take our sites and get the results required by our clients. We still refer to search engines as voodoo but we now have all the confidence Search Engine Marketing Coaches can get us the results we need in a short amount of time." "As former Director of the Jesuit Retreat House for 9 years I used the professional services of Online Marketing Coach. I enjoyed working with them on our website. We now think we have one of the best web sites in our profession. They understood our business well, including what it takes to gain visibility on the major search engines. Their professionalism is first-rate. I found their service prompt and reliable and their personnel are easy to work with." The Late Fr. Clem Metzger, S.J.